I’ve used Code.org and other programs, but not to the expanse that Tynker offers. With Tynker, it’s scaffolded – kids can be supported at any level, and it’s so easy to differentiate instruction. I have kids that are advanced coders, and I can teach a lesson where they can breeze through a lesson quickly. Tynker makes it so much easier. 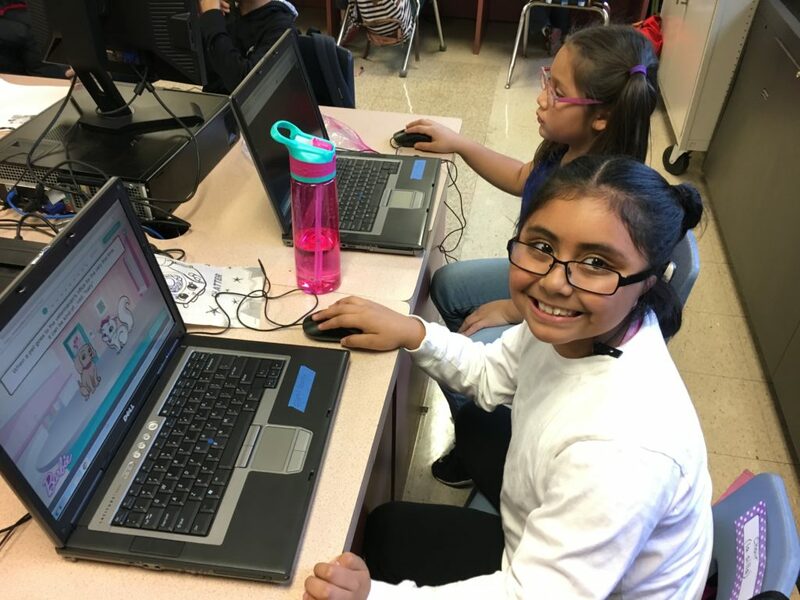 What drew me to Tynker was the ability to start from scratch; kids can have control over the characters, the setting, the music, and they can use it in any context – science, math, history, ELA. Last year, I used Tynker for the first time, and I found that I liked how it provides support for teachers. Tynker has allowed my students to think more critically and be able to to create, not restricted to one particular concept. Looking through their projects – there are so many – they can remix them and build on them. I’m always looking for a way for the kids to be creative with technology, and Tynker allows us to do that. Chase students love the Barbie Pet Vet lesson! Working on the Brick Breaker activity. I have the flexibility to use Tynker in a variety of ways: I can assign the lessons to the students, who can do them at their own pace, then we can focus on one content area. We are able to do Tynker with Math and the Physics Cannon game (incorporating velocity and angles), used the Food Web project with Science, a timeline project with History class, and the Multiplication Escape lesson with the 4th grade. 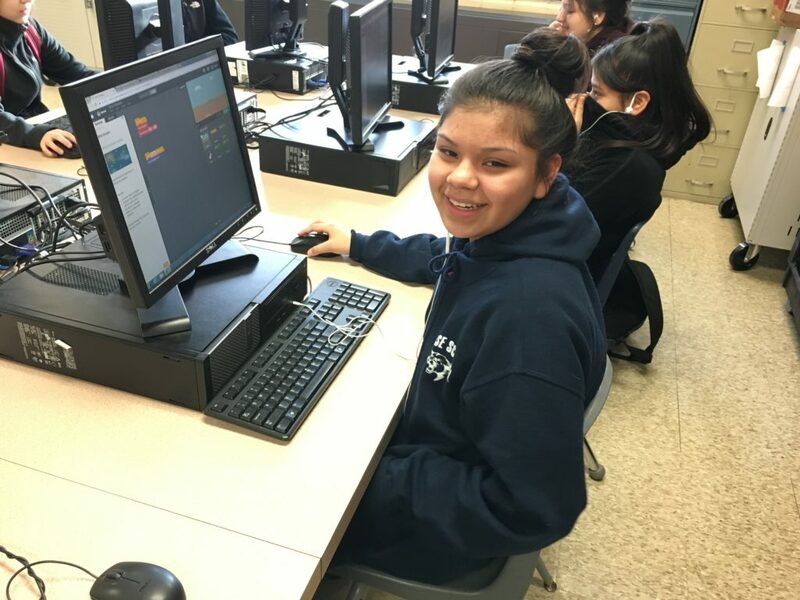 The kids learn how to do the the basic coding in my class, then can develop those ideas in their content areas. When I was working with math teachers, students had the familiarity with the program, so the math teachers’ role was really focusing on the concepts and the content. With Tynker, I love the program, and the kids like it a lot. It saves us a ton of time, provides snapshots of student growth, and gives us the flexibility to be able to do so much.